Add an additional $45.00 heavy/bulky shipping charge per each. Whether you use it to power your killer tailgating party or to keep your kids' electronics running at your campsite, the Energy Storm Inverter Generator has you covered with up to 2,000 watts of power. The .92-gal. fuel tank will keep you charged for 7 hours on a 50% load. Plus, you don't have to worry about loud noise, as this Energy Storm has quiet operation at a low 60 db. sound rating at 23'. You'll have enough energy to run your small fridge for your beverages, adult or otherwise, a radio to listen to the pre-game show, and a small fan to keep cool over that grill. A must-have at all tailgating parties. Only the highest quality parts. 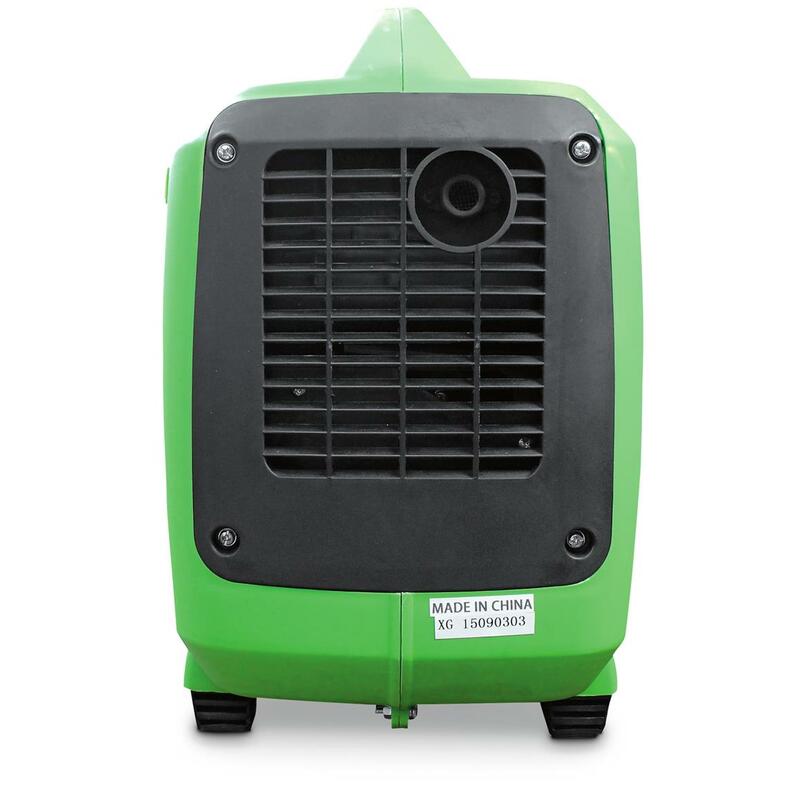 Lifan wants your generator to last you for the long haul. To that end, they've constructed the 2,000-watt Generator with only the highest quality parts and components. With a heavy-duty case, you'll see the value and durability the second you take it out of the box. Plus, the convenient handle allows you to take it with you anywhere, for power on the go. Lifan installed an Exhaust Spark Arrestor into this bad boy, allowing it to be safely and legally used in National Parks. 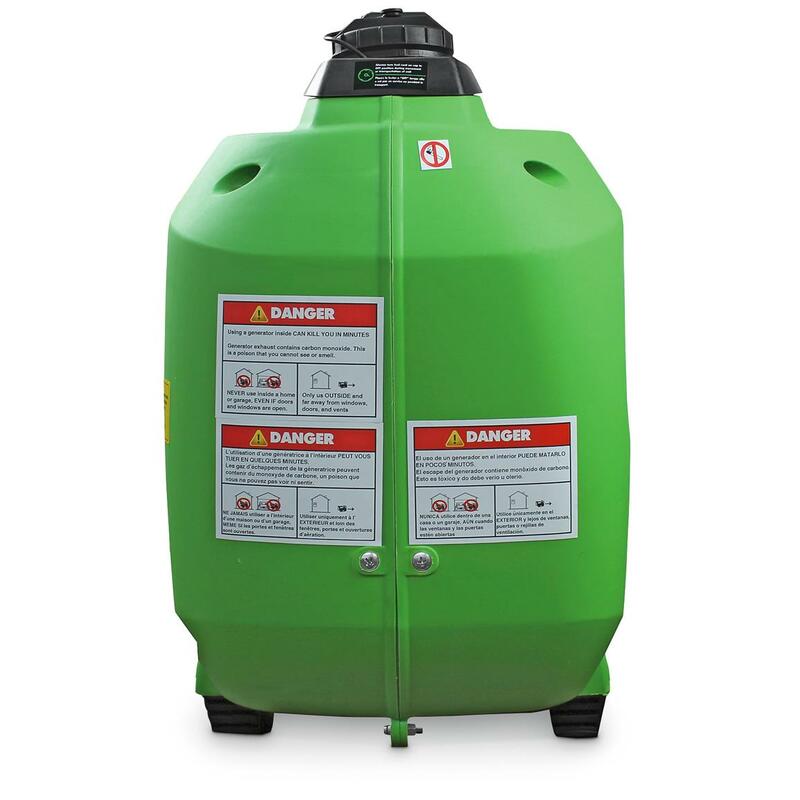 The Spark Arrestor is a device that prevents flammable debris from combustion engines from being discharged from the Generator. This plays a crucial role in the prevention of wild fires. Now you can travel where and when you want and still have the power you desire and the environmental awareness we all need. Wattage Guide: fully meet the needs on even your most sensitive equipment. This Inverter Generator produces "Clean Power." It has a sine wave distortion of less than 2%. What that really means, is that it's perfectly safe for all of your electronics that have more sensitive components. 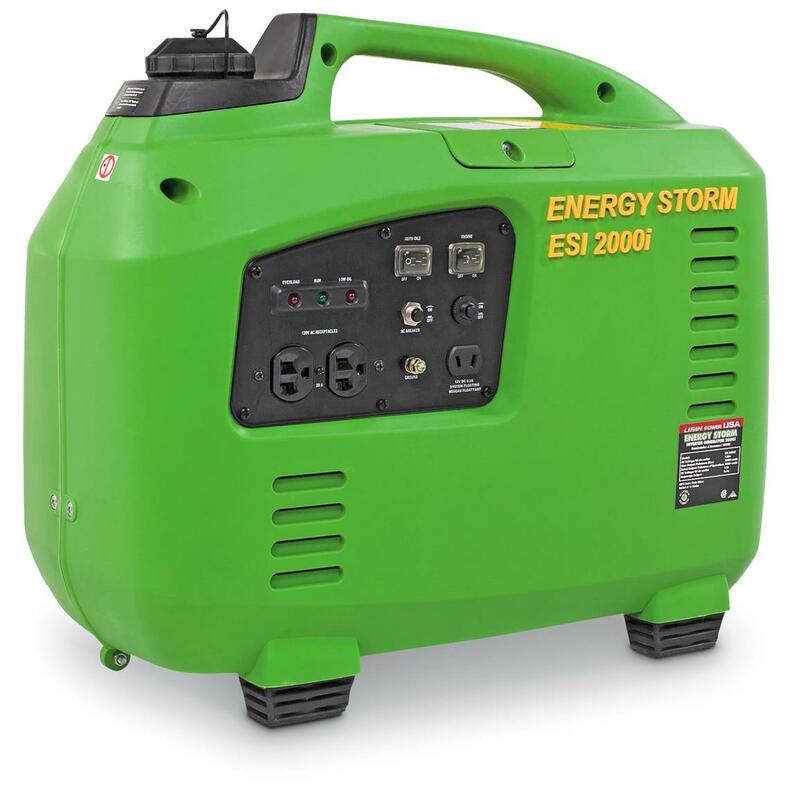 LCD and Plasma TVs, video consoles, and cell phone charges have nothing to fear from this Generator, as it was designed with them specifically in mind. Plus, it slides easily into the trunk to keeps your kids electronics charged on your next camping trip. 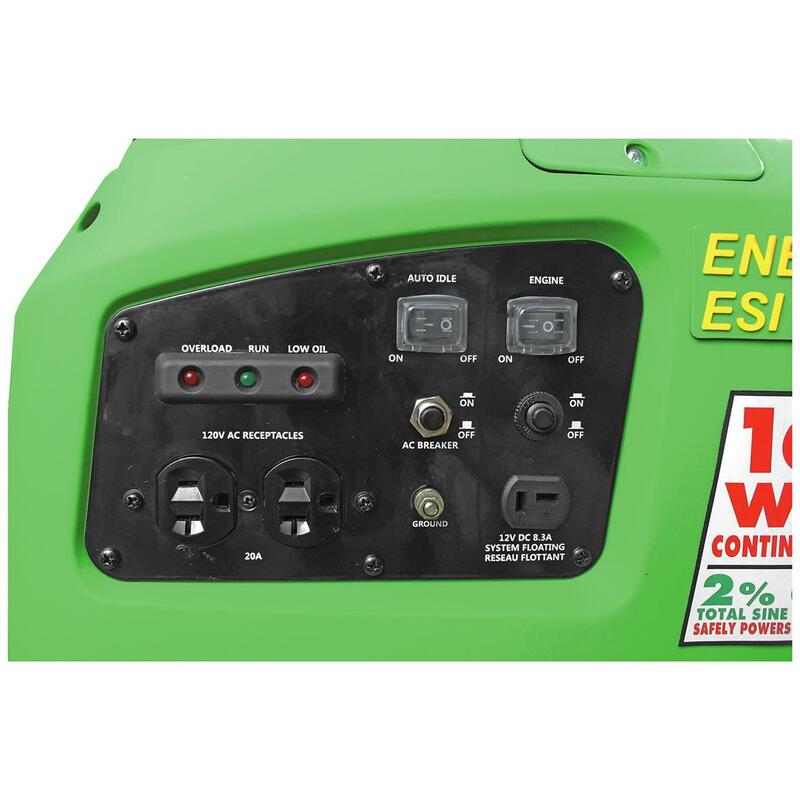 Getting the proper amount of wattage to run your household or meet your work and recreation needs is essential when deciding on a generator. To determine how much power you need, use the Wattage Guide found in the Additional Product Information section below. Get charged up. Order yours today! Sound level (@ 23'): 60 db. Oil type and amount: SAE 10w30/20 oz. 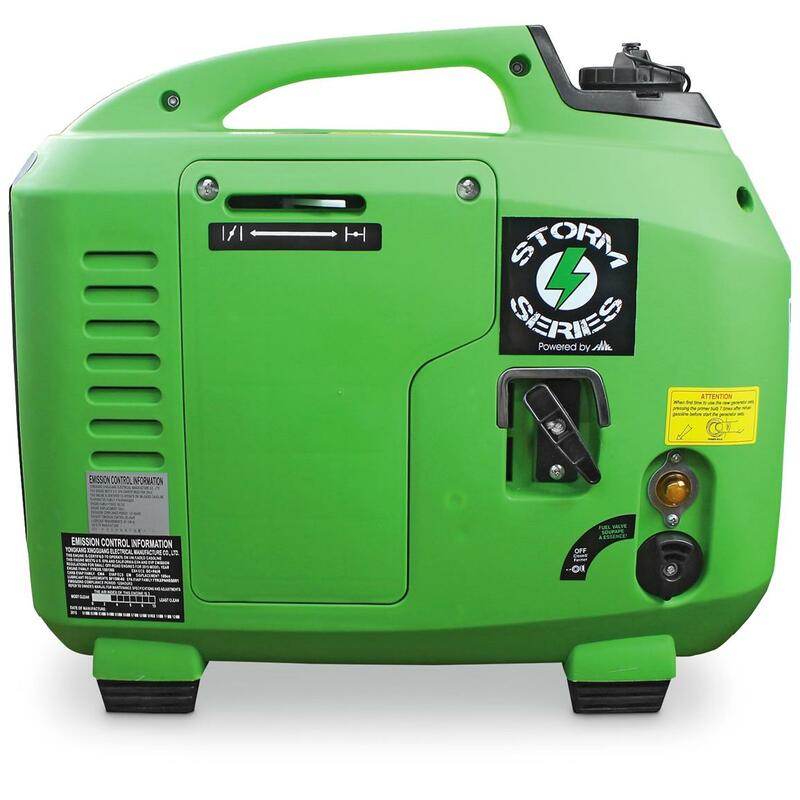 LIFAN Energy Storm 2,000 Watt Gas Powered Portable Inverter Generator is rated 3.3 out of 5 by 4. Rated 2 out of 5 by 81 Doug from not really happy Got the generator , filled oil, filled fuel with fresh premium gas. Started after a few pulls . But the engine would not run smoothly, called into Lifan they told me its the carb needs to be replaced. they said they would send one out , haven't seen anything yet a week later. I needed the generator for deer hunting a week ago . Not able to use then or now. And of course you cant return for refund cause it has been fueled. Not impressed.